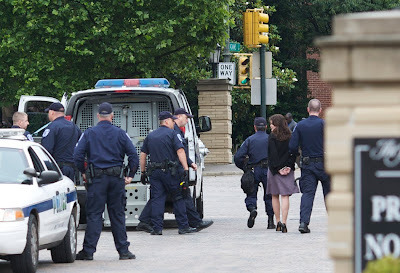 Tuesday, May 18 Activists disrupted the annual general meeting of criminal corporation Massey Energy this morning in Richmond, VA. Two of the group were arrested as they demanded an end to Massey’s reckless disregard for human life, community health, and the environment. Protesters loudly read an open letter to Massey (below) demanding they cease mountaintop removal coal mining, a practice that is destroying central Appalachian communities. A similar open letter was tendered by two activists who yesterday were assigned an outrageous $100,000 bail after non-violently blocking the driveway to Massey’s regional HQ in Boone County, WV. As activists disrupted events inside, several hundred unionists and environmentalists rallied in the rain outside – albeit separately – to demand accountability for Massey’s despicable record of dangerous mine conditions, and its devastating social and ecological impact. Rally-goers pointed to the recent explosion at the Upper Big Branch mine in Montcoal, WV that killed 29 miners, and its mountaintop removal operations throughout Appalachia in their indictment of Massey’s corporate greed. 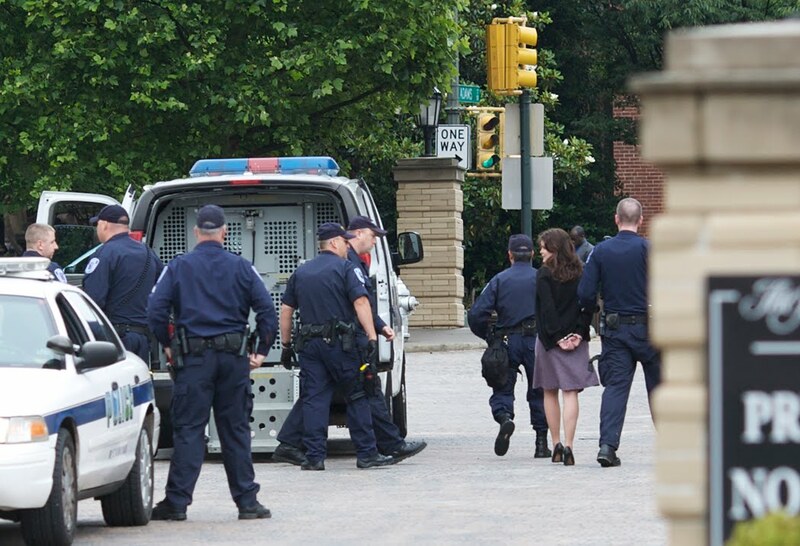 The activists arrested today in Richmond, Kate Finneran and Oscar Ramirez, remain in custody as Massey Energy continues jeopardizing workers’ lives and blasting apart mountaintops and communities throughout Appalachia.